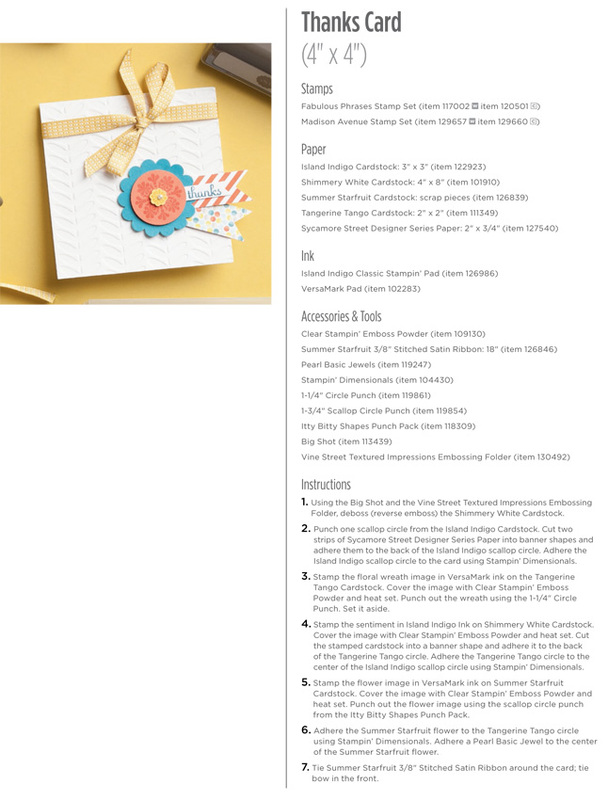 I've been so busy at this new job that I haven't had time to stamp anything this week, so I thought you might like to see this Stampin' Up Tutorial showcasing some new upcoming products. The stamp set and designer paper used are going to be available during Sale-a-Bration starting January 22nd and you can get them for FREE with a qualifying order! So, stay tuned for more and have a great weekend! Don't forget, you can click on the image below to enlarge it and see it better!